A group of experienced, accomplished and friendly reapers who have banded together for fun and loot; or a group of mature, funny and all around good guys who play tanks. We established this clan to formalize what we already had - a band of regulars who enjoy tanking with each other. That said, we're not here to knit: Reapers will compete at the highest levels in clan wars. Recruitment is highly selective. Carefully examine the abilities of the current roster (click) and compare them to your own to your own (click) before applying. While the clan invests seriously in player development, it is not beginner-oriented and tankers without a significant and successful track record in tiers 9-10 are unlikely to be considered. 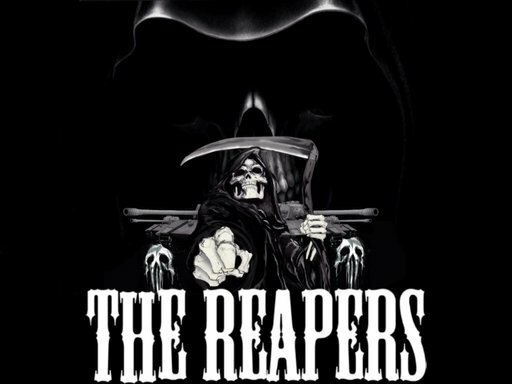 You may register your interest in Reapers in this thread, via in game message to a member or via TS and Kik. If a Reaper has personally invited you to be evaluated, in game or otherwise, please come directly to Kik/TS. We communicate in game via TS and between ourselves and with applicants via Kik. We regularly have count-ins on our TS and all are welcome to drop by, say Hello and have fun. Edited by mike82198, 29 August 2015 - 10:15 AM. Nice looking lineup guys. Best of luck to you all. Thanks for the kind words. See you on the field. I was happy to see a new clan leaderboard thread started. Solidly second in each category and with only 20+ members. Strong looking clan and a good group to boot. Good luck out there [GRIM]! Hope to see you guys on the Green side of the field. I'd also like to point out that this is a stand up group of guys, and personally thank mike for helping me, and putting up with my Tater ways. Best of Luck guys! Although I'm certain with that much skill luck is not particularly needed. You guys will do well - many thanks to Mike and Kaylis who have helped me out on the forums with their articulate and informative posts! Thanks. There are a lot of good groups forming and it's fun to see the comeradery develop. Skill is important but team unity and community is far more integral to a succesful team. Thanks for the kind words. You've got some great guys too. Thanks Thiest. You bring a lot of great info to the table too. Keep up the good work. Thanks to everyone who came out to the impromptu count-ins last night. At one point there was more than 40 people in with us. It was a wild night. We are proud to announce the addition of two great new Reapers. See you on the field. "All your souls are belong to us." If you haven't seen our post in the discussion area, I hope you'll check it out. Hey great clan! Was wondering if you'd consider my application to join your clan? You're working towards some strong numbers but at this point I would say your not there yet. Have you checked out our 'a adopt a Reaper thread? We'd to help you develop you skills and get to a point where we can reconsider. Jump on our Kik, TS or drop us a note in the thread above and lets see what can be done. What is grims TS code? Im from DD so i would love to find more players who use TS. Can u post it here. I am going to assume you mean the TS address as there is no password. See above. It was listed in the original clan post. Did you see the new clan section on Wotbstars. There is a lot of interesting data but one of the coolest is the our great group of guys now has the top Star1 rating amongst all clans. Great job guys!